Another sponsor of Blogtour NYC is Miele USA. In The Netherlands we say 'Miele er is geen betere' Meaning: 'Miele the best you can get" As long as I remember I hear and see Miele in TV commercials and the papers. I grew up with Miele and no wonder I have a few appliances at home myself. My vacuum cleaner being my latest purchase! Architects and designers have long revered the color white for its ability to harmonize and balance space. 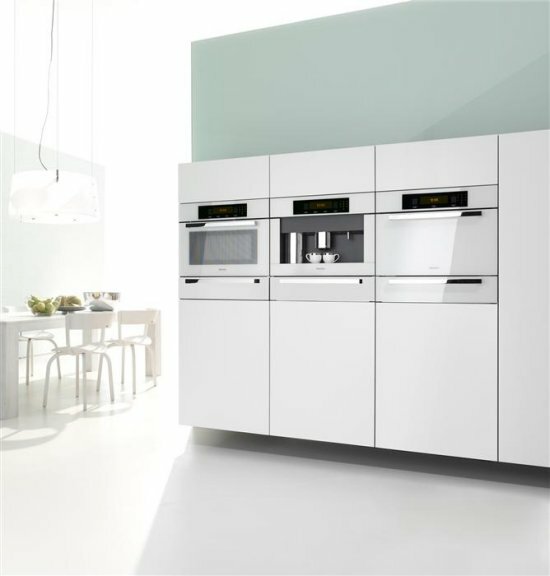 They have wanted a white appliance design solution from Miele for a long time. “The Brilliant White Plus Series" celebrate the color white (which we love!) and provide a full suite of culinary appliances including: 30” Convection Oven, Whole Bean Coffee System and Plate and Cup Warmer, Speed Oven and Steam Oven. We will be visiting Miele in NYC and you can too! On March 21-24, 2013, Miele will exhibit at the Architectural Digest Home Design Show at Pier 94 in New York, NY to showcase the latest in Miele innovation.